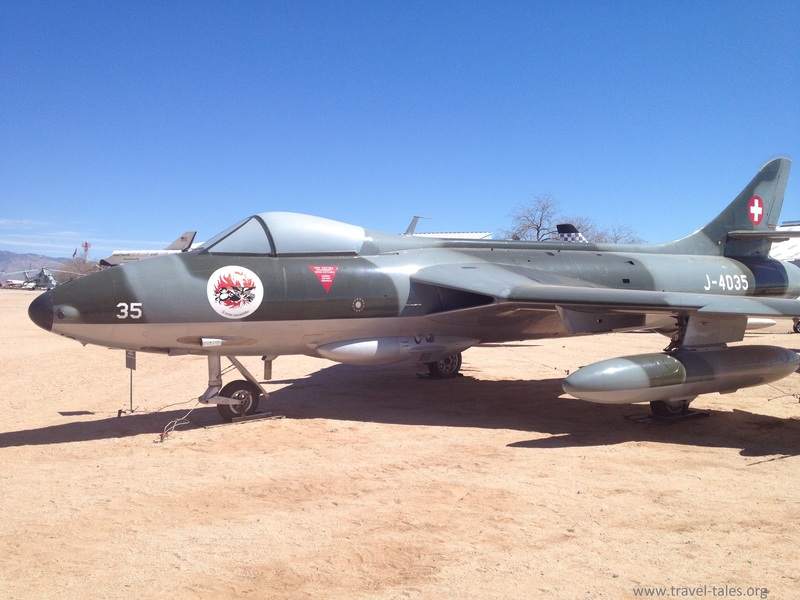 There are lots of non-US planes in storage and on display in the conducive weather conditions and space at the Pima Air & Space Museum. 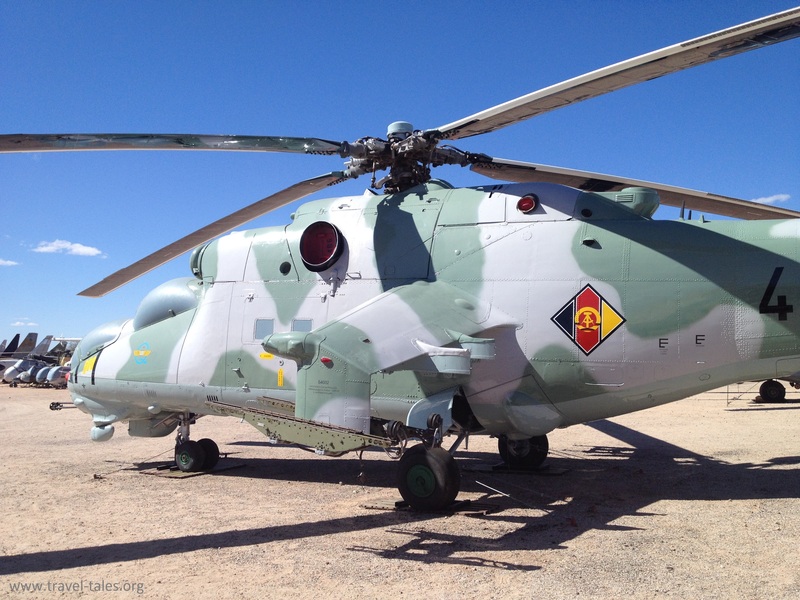 I was attracted to this helicopter by the writing on it in German and Cyrillic script. I could only think of one place it could have hailed from, a state I grew up next to which ceased to exist in 1989. And as I walked around it, as expected, I saw the insignia of the Deutsche Demokratische Republik – East Germany. There is also a collection of Russian MiG fighters. I don’t know what the collective noun for MiGs is, so I’m calling it a melee of MiGs although I doubt their pilots could consider the fights they got into as being confused! On a more peaceful perspective, this has retired from the neutral Swiss airforce. 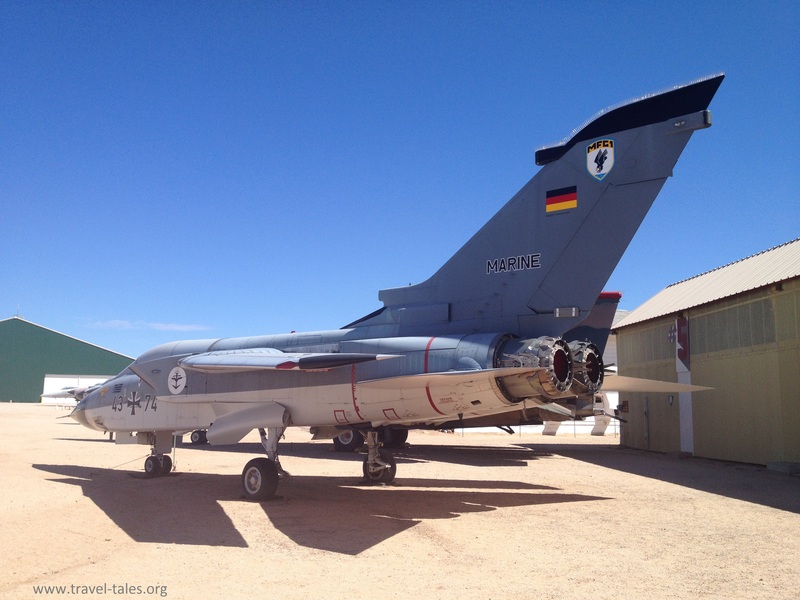 Despite what non-German speakers may think, this plane used to be in the German Navy rather than part of their Marine Corps, the word ‘Marine’ being the German word for Navy.